Cottages on Barber’s Lane. Mrs Lillian Rivington (nee Gascoigne) Photo courtesy of V. Hopkinson. I don’t recall anyone called Hipkiss on Barbers Lane. The only ones I seem to remember lived on Nethermoor Lane. 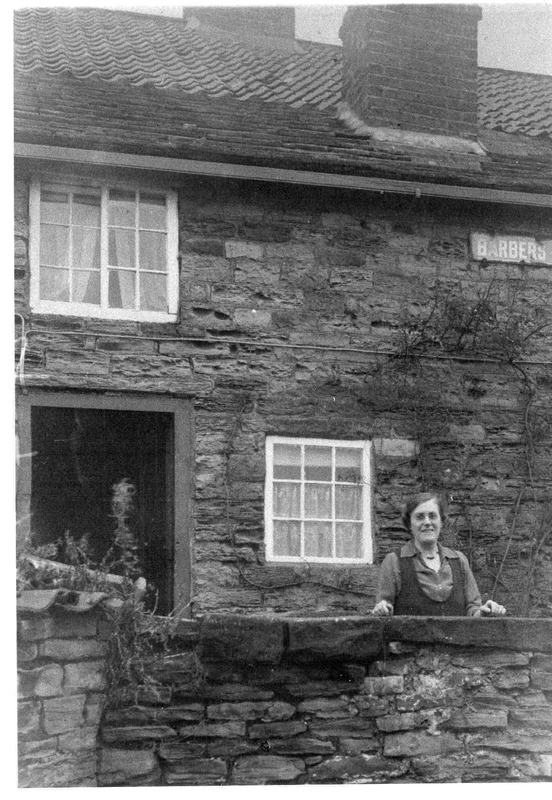 My Grandfather, Mr John William Hipkiss bought one of the cottages on Barber Lane and my mother was born there. Do you remember Bill and Ethel Hipkiss. My mum was Anne Hipkiss. Lillian Gascoigne married my mother’s uncle. He was John William Rivington. They had a son called William Frederick Rivington. John Rivington was also a witness at my parents wedding at St Giles Church in 1917. They were Mary Edith Goodwin and Edward James Hicken.